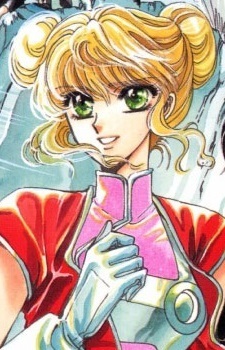 CLAMP School High School Division Sophomore, in homeroom Z.
Eri has a quick temper and is quick to use violence, especially towards Kentarou and Takeshi. She falls in love with Sukiyabashi, not knowing that he is the enemy she has sworn to protect Earth from. Eri is a space alien police officer sent to Earth to protect it from invading aliens. She is disguised as a high school sophomore at the CLAMP School.